long period with mustard oil and spices. Chef Sanjeev Kapoor which given by Vaishali sabnani to me on her blog-iversry. week under the theme of cooking from cookbook. grated ginger and sauté till light golden brown. seeds, chilli powder and garam masala powder, and sauté for a few seconds. Add the jaggery and salt and mix well. well and cook for three to four minutes. set aside to cool. Stir in the vinegar and mix well. Good one. 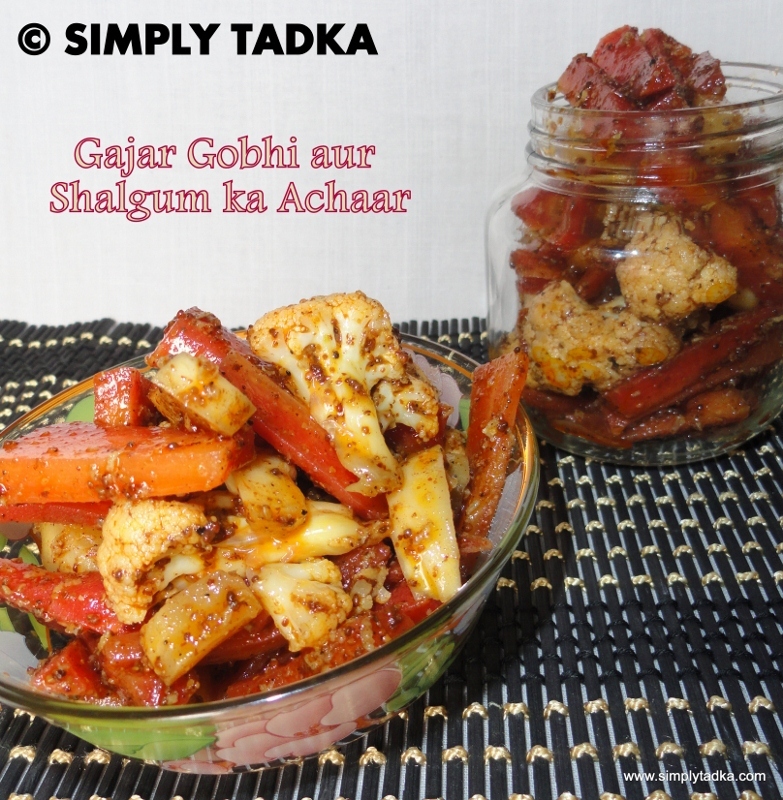 Interesting addition of jaggery in this pickle. 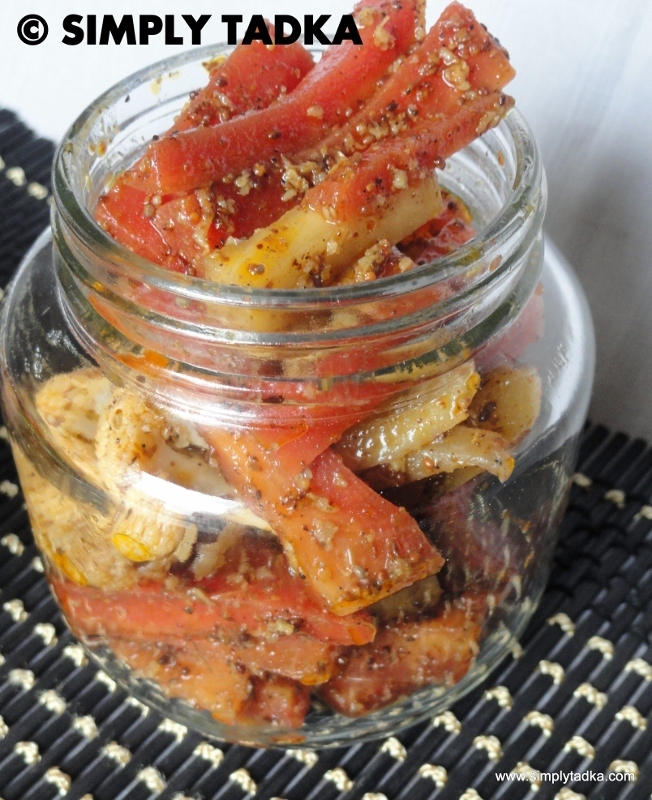 Very interesting pickle..I am always interested in these vegetable pickles, only I never get to make them myself.. This is delicious! Such an awesome pickle. Would pair perfectly with hot Aloo Parathas. Tongue tickling pickle, congrats on ur new domain Preeti. 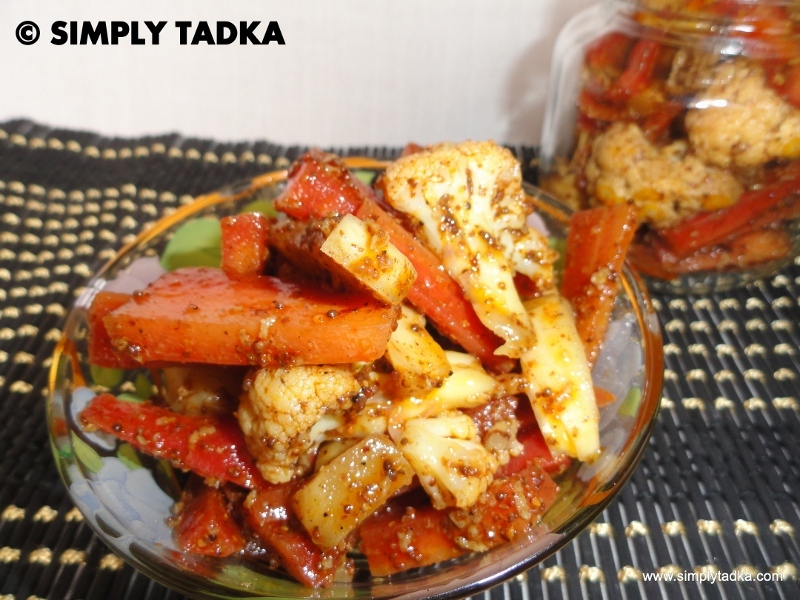 Delicious achar love it Preeti. I've bought the ready made pickles by Sanjeev Kapoor brand before but never tried to make them myself. If the jarred ones were delicious, I am sure his version of the homemade one will be just as good. Nice pickle. Pickles are my all time fav. I am used to veggie Pickles but the addition of sweetener is interesting. Wow total makeover of your blog Preeti looks great!!!! and pickle makes me drool. If I get some parathas oooff heaven…. so tempting, tongue tickling and delicious pickle!! !